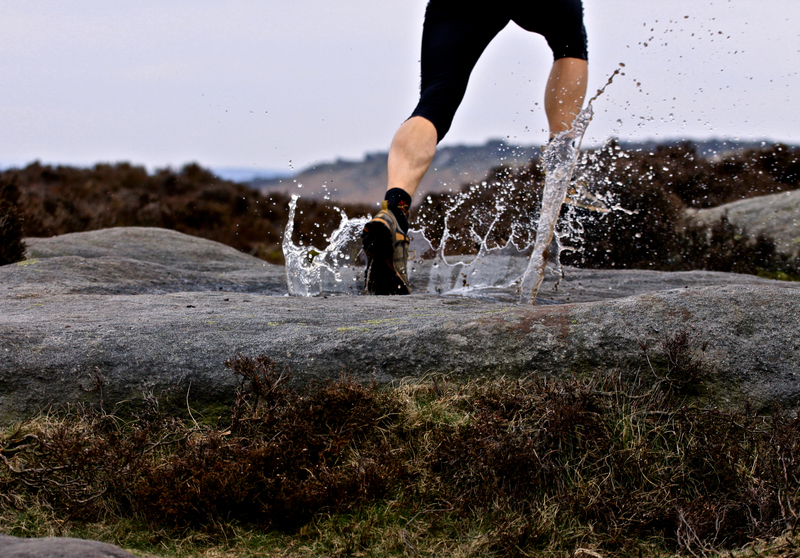 Reversibility and Tedium: False Friends as Principles of Training. For some years now I have been coaching and teaching on courses/modules in order to improve athlete’s and student’s understanding of principles of training. The most common acronym that is used to help this understanding is S.P.O.R.T. This can be found in many places online and top hits in a google search will take you to sites such as topendsports.com and acronymfinder.com explaining the full breakdown of S.P.O.R.T. although it also has it’s origins in previous GCSE PE and B-TEC Sport sources. For the most part this is a great acronym and fits nicely with the content that students are trying to remember, especially with regards to the S.P.O. and here is why. We see it in everything that we read that specificity is key to a good training program. When using specificity it is important that training is specific to the needs of the individual (based on an individualised needs analysis) and is also specific to the competition environment of the sport. This may be related to biomechanical actions, specific movement patterns, intensities and duration of intensity and stressing specific energy systems to the particular activity. Baechle and Earle (2008) make a clear argument for this with their S.A.I.D acronym (Specific Adaptation to Imposed Demands) in that the body will adapt to the stresses that are put on it. In that case we must then stress the body in a way that it will adapt specifically for improvements in the required activity. Moving on to progression and overload, again this is key to continued development as is highlighted by the S.A.I.D principle, in that if the body adapts to a stress, then eventually the same level of stress will not be enough to elicit an adaptation. By continually progressing and adding an overload to our training stimulus we are constantly challenging the body to adapt to new and greater stresses. I always like to use the Milo of Croton story as an analogy for this and this is nicely summarised by Robert at Total Performance Sports & Fitness (see his blog post here). The use of the F.I.T.T (Frequency Intensity Type Time) principle is often used to manage this progression and overload and is also a nice way to mix up your training. Check out the F.I.T.T principle in more detail here. “any adaptation that takes place as a result of training will be reversed when you stop training. If you take a break or don’t train often enough you will lose fitness”. Yes I agree with this for the most part, but why then have this as a principle of training? If that begs questions, then Tedium seems to be a bit of a cop out for me. It is a constant question that I get asked “what is tedium?” and “how is that related to training?’ The argument is that we need to keep training interesting and to avoid boredom!! For me though, it is the specificity and loading that is important and if that is done properly then tedium shouldn’t be an issue. I’m sure also that if you ask many athletes about their conditioning training, few would come back with it being fun and interesting. So for this reason I would like to propose alternatives to Reversibility and Tedium in the shape of Recovery and Timing as it would appear that both are key principles in effective training and both still fit nicely into the S.P.O.R.T. acronym. Recovery is a key aspect of all training and an important part of the adaptation process. 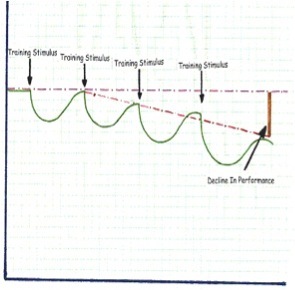 Selye’s general adaptive syndrome (GAS) theory (discussed in Bompa and Haff, 2009) suggests that for the best training adaptations, training intensities need to be varied in order to allow for recovery and regeneration. This is highlighted by the Supercompensation Cycle (see fig 1. below) whereby the stimulus and fatigue phases of the cycle are followed by a compensation phase in which the body needs to recover. This recovery is important for the anabolic/catabolic balance and it is important that enough nutrients and rest are provided for the growth and repair of tissues to take place. Figure 1. Supercompensation Cycle (taken from Bompa & Haff, 2009). At this point I feel that Timing of the next training bout is crucial and why it should be included as one of the principles of training. Following the compensation phase or recovery aspect of training, comes the supercompenstion point where adaptation peaks as a result of the previous training stimulus and performance is increased. If the next bout of training comes in too late, then we head into the involution phase, a period where the training effect begins to diminish and we move back towards our starting point (homeostasis). On the other hand, if the next training bout comes in too early, whilst in the compensation phase, recovery may not be complete, training quality will be poor and supercompensation will not be reached. There is also a fear that continued training without adequate recovery could lead to a performance slump or worse case scenario, overtraining (see fig 2. below). It is for this reason that timing is so crucial as a training principle and important in creating programs that develop improvements in performance. I like S.P.O.R.T. as an acronym for training principles as it fits quite nicely but I do feel that Reversibility and Tedium are ‘false friends’ as principles of training and a little misleading in what they represent. For me, Recovery from training and the Timing of subsequent bouts present a far better opportunity to create performance enhancements.